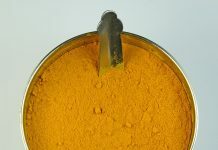 Turmeric (Haldi) is derived from the roots of the Curcuma longa plant. It has been an integral part of the Indian culture for its beauty and health benefits. It is known as the ancient healing spice. Ever wondered why a lot of Indian foods contain turmeric? It is due to its antiseptic property. Turmeric protects your body from within and keeps all the organs intact. It was also used as a cosmetic product back in the good old days. That is why brides in India are made to use a turmeric body scrub before weddings. When used on the face and body, it can make the skin brighter, clearer, and flawless. Let’s take a look at these amazing face masks that use turmeric. Following 10 are the wonderful turmeric (Haldi) face packs for different skin types. Dry skin always requires extra moisturization and hydration irrespective of the weather. The situation becomes worse during the winter and the extreme summers. The following face packs will provide natural moisturization to the skin and the turmeric will add a glow to your face. Take the gram flour (besan), sandalwood powder, cream (malai) and a pinch of turmeric (haldi) powder. If you have very dry skin, you can also add a few drops of almond oil or olive oil. Mix all the ingredients together to form a smooth paste. Make sure that no lumps are formed while you make the paste. Apply this pack all over your face, including your neck, and keep it on for 15 minutes. Rinse with warm water. Use this 2-3 times a week. Cream: This ingredient is responsible for adding back moisture to the skin. 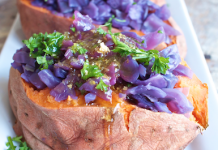 It will add back the required vitamins and minerals and make the skin smooth. Gram Flour: Besan, or gram flour, is a natural exfoliant that helps to remove dry and dead skin cells, paving the way for fresh skin cells to grow. Sandalwood Powder: Chandan is enriched with several minerals that breathe life into the skin. It also acts as an exfoliator. Almond Oil: It is beneficial in removing impurities and dead skin cells. Mix the egg white with a few drops of olive oil or almond oil. Add the rose water, lemon juice, and a pinch of turmeric to it. Apply this to all the dry areas of your body, especially the face, elbows, and knees. Keep it on until the pack dries off completely and then rinse with warm water. Use this three to four times a week. 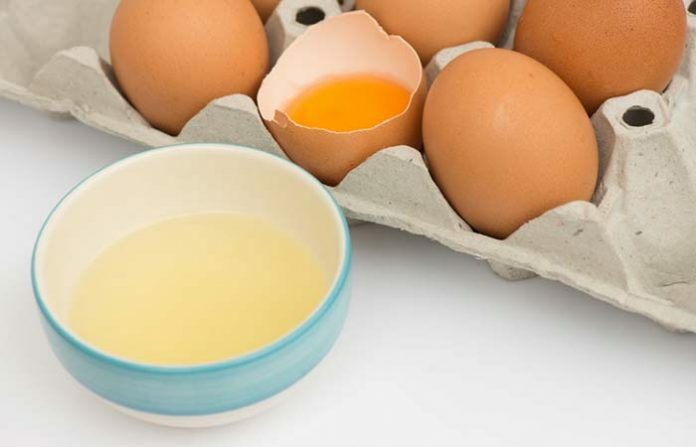 Egg: Eggs work as an astringent and help to relieve itchy and irritable skin. Rose water: Rose water contains anti-inflammatory properties that soothe irritated and dry skin. Olive Oil: Olive oil contains hydrating squalene and antioxidants, which are great for the skin. Check out the whole article with images from the source link below.